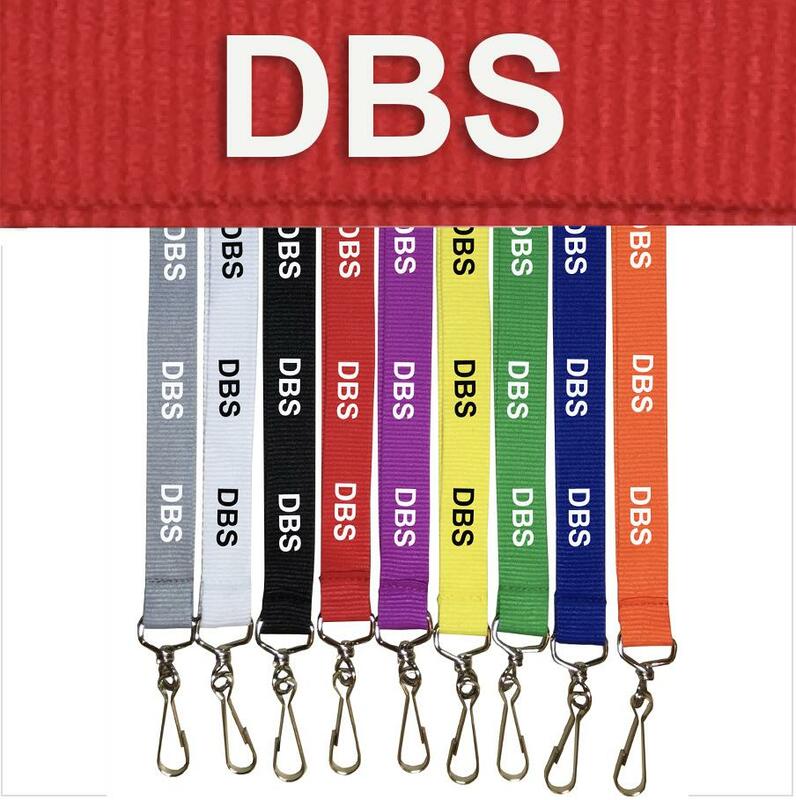 DBS LANYARDS - 20mm width. High quality polyester lanyards with printed text. J - Hook and Safety Break attachments included as standard.